Spending a snow day with a sled in hand isn’t just for the countryside, and if any city can back that up, it’s New York. After all, the name Manhattan translates to “island of many hills.” Filled with kids and slopes, the city may surprise you with its ability to transform itself into a winter wonderland. Here are our picks for winter 2015 for the best spots to hit on a snowy day when you (or a little one in tow) are up for some serious sledding. If you don’t mind a crowd, Pilgrim Hill in Central Park is the way to go. 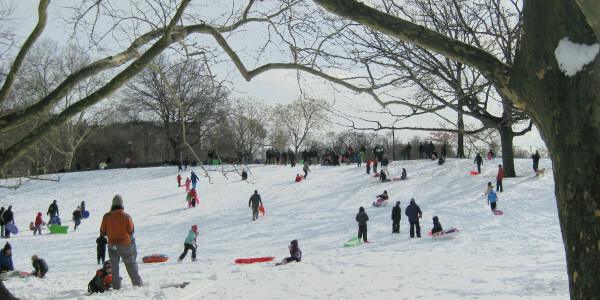 The most popular hill for sledding in New York City, there’s a reason locals flock to this location whenever there’s a snow day: a steep slope gives riders a fast start, while the hill levels out towards the end of the run, making for a thrilling but safe ride. 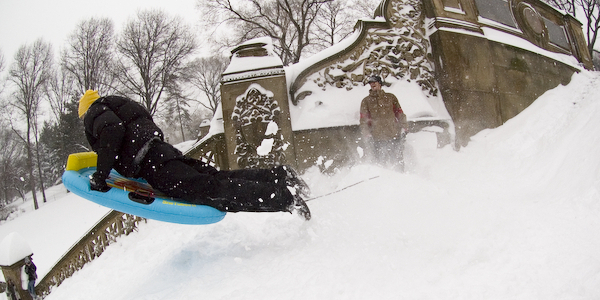 Go sledding in the mayor’s front yard at Carl Schurz Park on the Upper East Side! With Gracie Mansion right on the park’s grounds, this sledding hill has some serious history to it. As far as the actual ride? It’s going to be bumpy, which will inevitably make for some great air-grabbing as you cruise across the snow. No matter whether you’re a rookie or a pro, a trip to Riverside Park will serve you well. 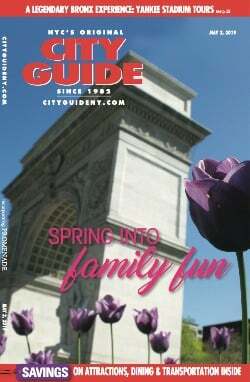 The 91st Street hill lets the experienced get a thrill-seeking ride, while moving up to 92nd Street and above is more mellow, providing gentle rides. You’ll see Columbia students sledding all over this turf once the snow starts falling. As a corollary, you’ll find many of Morningside Park’s sledders using things like dining hall trays and cardboard boxes to get the job done. There’s no shame here—get whatever you can find that’ll slide and have some fun. While this locale may be a bit of a trek north, it’s worth every single stop along the 1 or A train. A ginormous park, there’s plenty of space and slopes to go. This means you won’t have to wait in any type of informal line while you enjoy your snow day. Translation: you can get in double the rides! Not sure where to find a sled? You have a few options. Kmart, Target, and Home Depot locations across the city keep affordable sleds in stock, as do many independent toy and hardware stores. If you’re up for improvising, you can make your own sled out of a garbage can lid, air mattress, or even large pieces of cardboard. 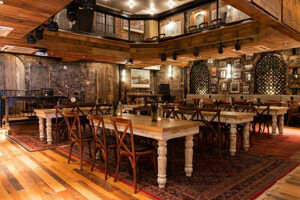 Click here for more ways to spend a snowy day in Manhattan.